With the development of communication technology and popularity of mobile phones, the number of people who own Android phones is increasing rapidly. Android phone brings people a lot of convenience and enables them to do as much work as they can without space limitation. Portable Document Format (PDF), as a popular file format which is required on most occasions, can also be converted from other formats on Android mobile phones. Imagine that you have an important meeting where you are going to present a report, you have kept it in the document on your Android and you forgot to convert it to PDF. No worries if you have installed below apps. All you need to do is locate files on your Android device and select to open it using Able2Extract PDF Converter. Once the file is imported into the app, all you have to do is tap on the conversion symbol and then select your conversion output. It can easily create or convert PDF files to and from editable Microsoft Office documents right from your Android phone. The sleek interface simplifies the conversion process down to two taps. •	Allow users to re-convert to editable format, correct it and then, convert it back to PDF. 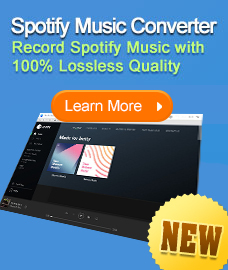 •	Freeware with accurate and high quality conversions. With CamScanner, you are able to digitize any paper documents by photo shooting. Simply take a picture of any paper documents such as receipts, whiteboards, notes, agreement and so forth, and CamScanner can auto-crop image, enhance image quality and to create an industry standard PDF file. Then you can easily upload documents to cloud like Drop box, Google Doc, Box.net, and manage by tagging or searching. To use CamScanner just center your phone or tablet’s camera over a document and take a picture. CamScanner then converts your image to a PDF that you can send to Drop Box, Ever note, Google Docs, and many other online storage services. CamScanner provides options for trimming the edges of your scanned documents before converting to PDF. You can scan documents and save them as individual files or combine scans into one file. •	Create a PDF with the captured information. •	Free version watermarks your scans and has advertising in the app. This application is specifically made for the conversion of text files to PDF. This application does not need internet connection to create PDF. Users can specify the line spacing, page margins, page background color and PDF metadata like title, author, creator, subject and keywords. •	Supports the conversion of text, xml, java, c (many more will be available soon) files to PDF document. •	Option to set Font Size, Line Spacing, Left, Right, Top and Bottom page margins. •	Generated PDF will be saved on SDCARD in user defined folder. •	Click on the file name to open it (need appropriate reader software). •	User friendly file browser interface. •	Align the header, footer and page numbers in the way you want. •	Create, Rename and Delete folder/file. Requirement: Best suited for 320x480 pixel resolution. Screen may get distorted at other resolutions. How to play iTunes M4V videos on Android phones or tablets? 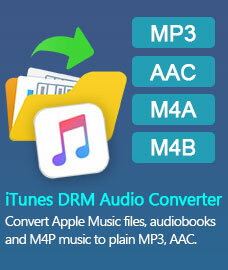 M4VGear DRM Media Conveter is designed to remove DRM from iTunes M4V videos and convert to Android phone or tablets supported format for your playback.